These Festive Christmas Hampers are available to pre order. The price includes Delivery and a Handcrafted Christmas Card. Please order latest by Wednesday 12th December 2018 as last despatch is Monday 17th December. 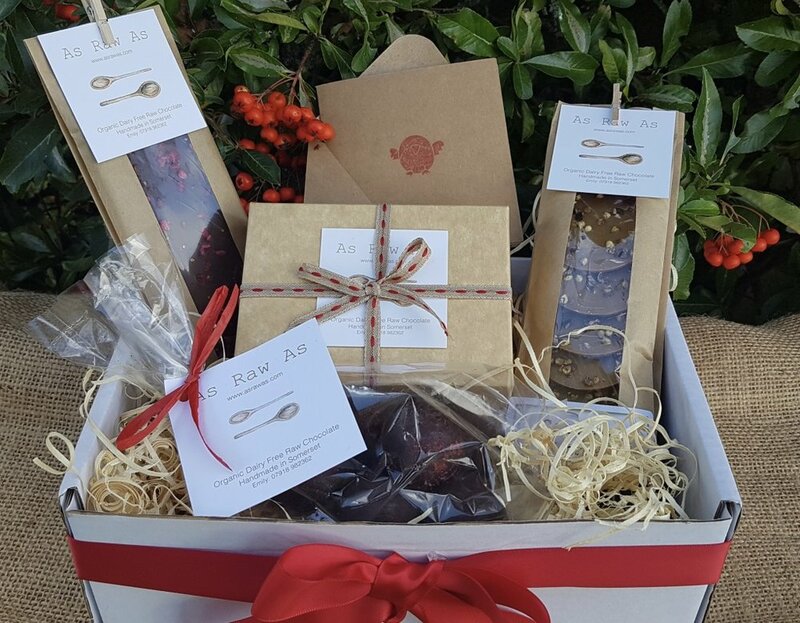 The Ultimate Christmas Chocolate Hamper packed full of the whole 'As Raw As' range. Perfect to share with your family and friends over the festive period. The Festive Christmas Hamper. 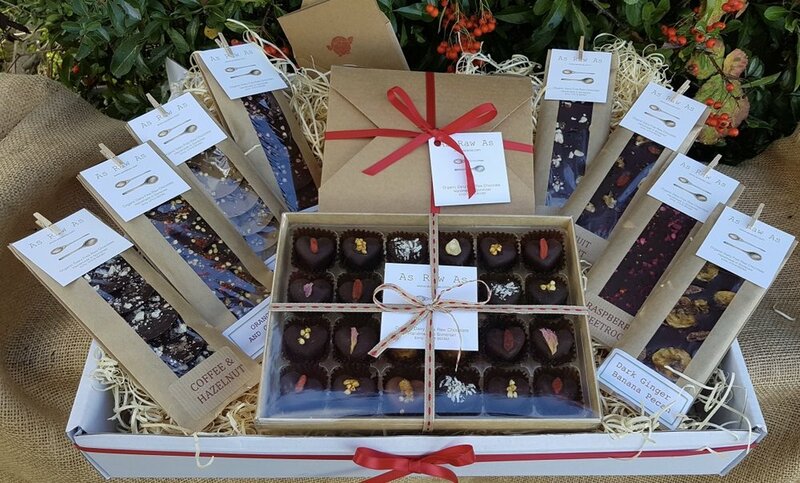 Experience a wide selection of our chocolate range to enjoy over the Christmas period. The Merry Little Christmas Hamper. 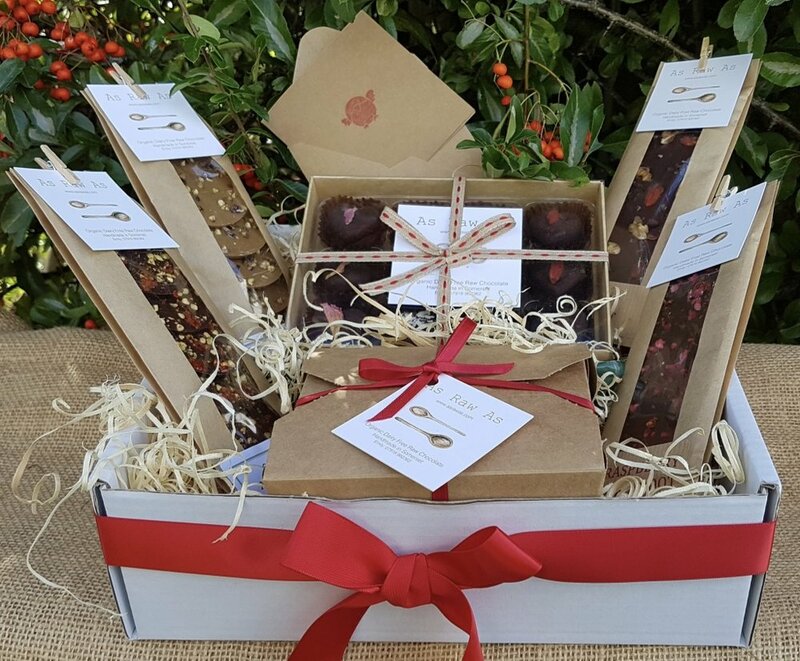 The perfect gift for the raw chocolate lover to enjoy over the festive period.